With the dawning of a new year, people all around us are resolving to make positive life changes in order to improve upon the previous year. I’ve often joined in and made new goals for the year. Sometimes I’ve succeeded, but other years I seem to fizzle out by mid-February. This year, instead of making a goal, I’m choosing to focus more on a word that I want my life to better reflect. My word for the year is hospitality. I can almost hear the groans and see the eye rolls of mommas everywhere. How are you supposed to invite people into your home when your kitchen table is somehow always sticky and every window in the house sports tiny hand prints and smudges? How can you possibly invite anyone over for dinner when you struggle to even cook meals for your own family? What will people think if your house isn’t perfect and the kitchen chairs don’t match? As a mom of three little ones, I can honestly say, I hear you. It can be intimidating to imagine letting others into your home and seeing the real you. This idea of being more hospitable came about for me as I wrapped up my Bible reading last year. I was struck by how often the early church was commanded and encouraged to be hospitable. So before we make excuses and disregard the idea of sharing what we have with others, let’s take a quick look at what the Bible says about hospitality. In 1 Peter 4:8-9, Peter instructed the early church to love one another earnestly and to “show hospitality to one another without grumbling.” Paul exhorts believers in Romans 12:9-21 to outdo one another in showing honor, seeking to show hospitality, and even in feeding and caring for your enemies. One of the qualifications Paul gives for pastors in Titus 1:6-9 includes being “hospitable, a lover of good, self-controlled, upright, holy, and disciplined.” And in 1 Timothy 5:10, in order for the early church to provide for a widow who had no family, she had to have a good reputation, which included showing hospitality. The idea of sharing what you have with others and loving one another is all over the Bible, and was a mark of the early church. So what does that look like for us today? We live in a world with a lot of lonely, isolated people who may seem connected via social media, but they are hungry for face-to-face interactions and real community. I think this looks like stepping outside of the 2-dimensional world of our phones, and allowing others to enter into our lives and homes in a real, unfiltered way. It doesn’t have to be Pinterest perfect to honor the Lord. 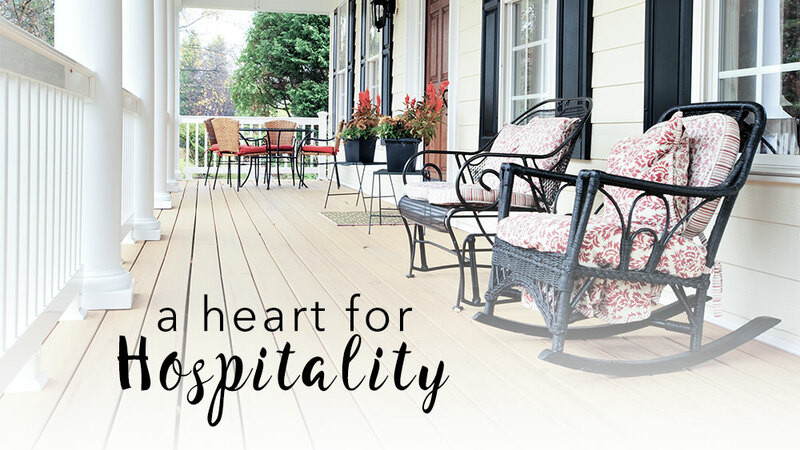 Hospitality that is pleasing to God stems from a heart that loves others. Everything we have is a gift from the Lord, and can be used for His glory. Hosting other young moms with kids has been an easy way I’ve opened our home in hospitality. The children get to play and I can enjoy quality time with my friend. I consider this a win-win, and it is so easy to do. We have also tried to make it a practice to have church members and friends over to our house for dinner. I’m learning more and more how to make something simple that won’t stress me out, and allow me to really enjoy our company. I love how excited my kids get when we have guests over for dinner! It has been a great way to teach them about sharing with others and loving others well. This year, I’m doing something new to me by hosting a small group Bible study in my home one day a week while my children nap. We are simply going through the Chronological One Year Bible together and discussing what we are learning and then praying together. I’m not serving food each time, or expecting my children to always sleep perfectly, but I am so excited for this opportunity for community and spiritual growth. Life, and motherhood especially, can have moments of feeling isolated and lonely. One positive way to combat this is by allowing others in and getting outside of ourselves. When we are serving other people in a loving way, I think the Lord really does work in our hearts to give us the desire to continue doing it! I hope and pray that we will be women of godliness and giving, realizing that everything we have is a gift from God to be shared with others. Alli is married to Gentry Hill and they have three children, Hadley, Dempsey, and Emery. They live in Poteau, Oklahoma, where her husband serves as Senior Pastor of First Baptist Church Poteau. 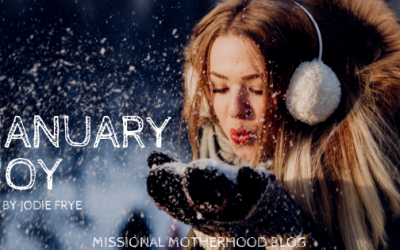 Alli hopes to minister to other new moms while continuing to learn how to mother her children in a Christ-honoring way, all while being a keeper of her home. Alli enjoys hospitality, painting, home renovations, & all things domestic. 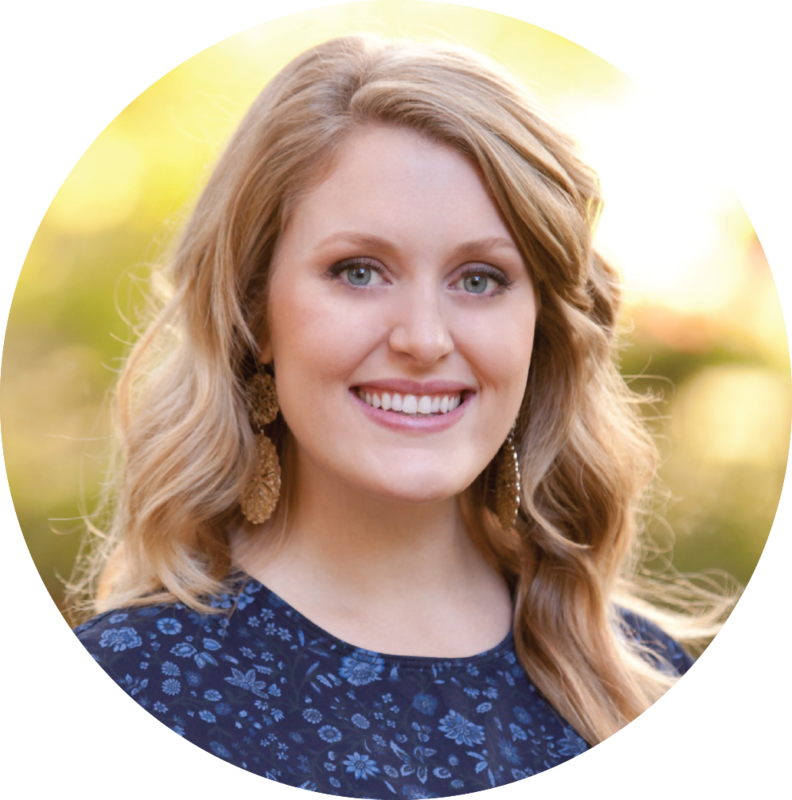 She serves as managing editor for Missional Motherhood. My mother did this all of my life. We lived in Dyersburg and she baked cakes and bread for your grandmother, Mrs. Dorothy Gaines to bring to your family in Alabama. Her name was Dorothy Garrard and this is how she showed her love for Jesus and others. People loved coming to her little, humble home filled with love and lots of good things to eat. That is so sweet!!! I will tell dad about this. Our Nanny always came to visit with lots of goodies, so that sounds just right! Your mother sounds like she was a precious woman. Thank you! This is excellent! I need to do better about not thinking everything has to be perfect. Grace still loves when we have people over. Alli, such a great post! May this be used mightily to inspire other women to open their homes. We heard the same encouragement from Jean Stockdale this morning in Tuesday Bible Study at Bellevue! May your small Bible Study bring many blessings to you and your friends who are meeting together. That is so neat! I’m excited about this semester of Women’s Bible study at Bellevue! Thank you for the encouragement! Alli, This is a great article! As an oldie, it is so easy to be selfish with time. However, it is with a happy heart that I am inspired by your article to do better. Love you Mrs. Linda! You are a wonderful hostess! Alli, Yes! Being hospitable opens our home to share the aroma of Christ with others. You are right! 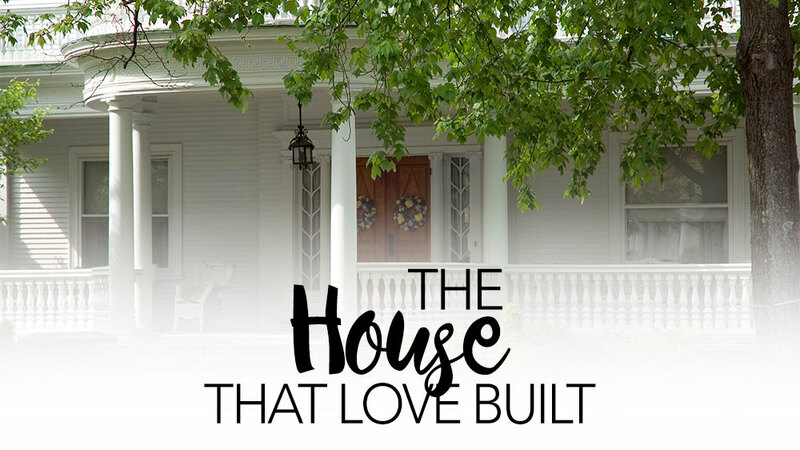 The home does not need to be a “Southern Living” icon or the image of a Joanna Gaines “Fixer Upper” makeover, but a place to share the love of Christ through fellowship! In fact, when we allow others in our home and it may not be “perfect”, we give others the freedom to do the same! Being hospitable does not come naturally for me, but it is something I have worked on over the years and the Lord has blessed that attribute, especially as our children are growing up into teenagers and young adults. Now they want their friends over to … Be Hospitable! Thank you Stephanie!! I agree! It definitely doesn’t need to be perfect – something I’m working on letting go of! Loved the message that Alli shared with us and put me on a guilt trip!!! There have been times in the past when I opened our home to guests more often than now. Maybe this message will speak to me and remind me, as Alli said, “everything we have is a gift from God to be shared with others”. Thank you Ann! I cannot think of a time we have opened our home to others and regretted it! The Lord has always blessed.